If you've played golf, you've probably played through sore feet. According to FootJoy, that's because up to 70 percent of us are wearing ill-fitting golf shoes. As a result, we're suffering through an unnecessary array of shoe-related pain. From pinching, to binding, and slipping, a golf shoe that doesn't fit quickly leads to blisters and discomfort, and subsequently to inefficient weight transfer, which creates sub-optimal ball striking conditions. In the past, I've been largely guilty of fitting myself -- much like any other human who has ever purchased any manner of shoe. But with a trip to Northern Ireland just a few weeks away, a comfortable, walkable pair of golf shoes was at the top of my must-have list -- which is why I was interested to visit the FootJoy Fitting Team at Marshes Golf Club, a public Robert Trent Jones design in the west Ottawa suburb of Kanata. Inside I met FJ Performance Fitter Rob Kenny, who has been on a crusade of sorts, educating golfers throughout Ontario and Quebec about how a golf shoe should fit. I arrived at the fitting pretty confident I knew my size. However, a detailed measurement for both length and width, and an unhurried progression through subtle options in size, width, and style options, the DNA, in an 8.5 (regular width) won the day. Though it may not sound revolutionary, I'd likely have never tried the 8.5 had I been left to my own devices. In my mind, I've always been a 9, 9.5, or a 10, depending on the variances in brand and style. But as Kenny explained, the right size won't slip, bind, or rub you the wrong way. 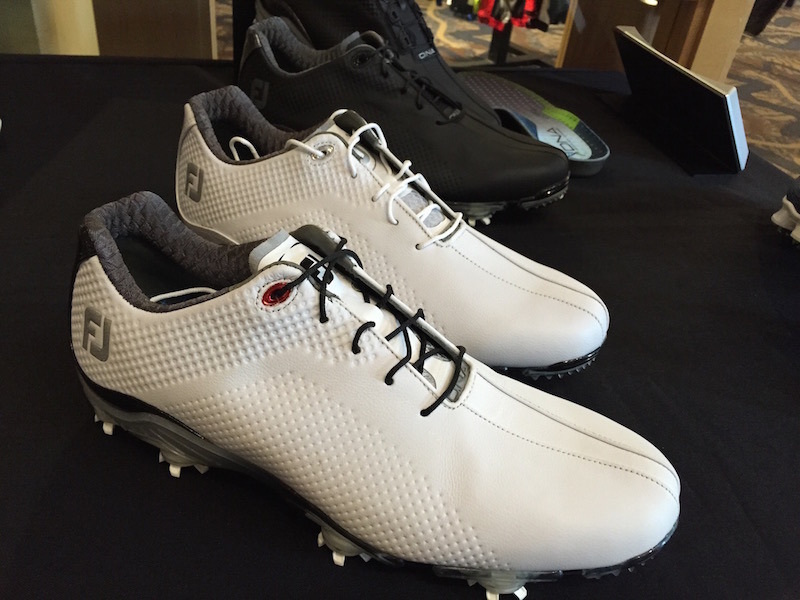 Conversations with other golfers served by the FootJoy Fitting Team revealed similar stories -- most of us were wearing shoes that were too big. 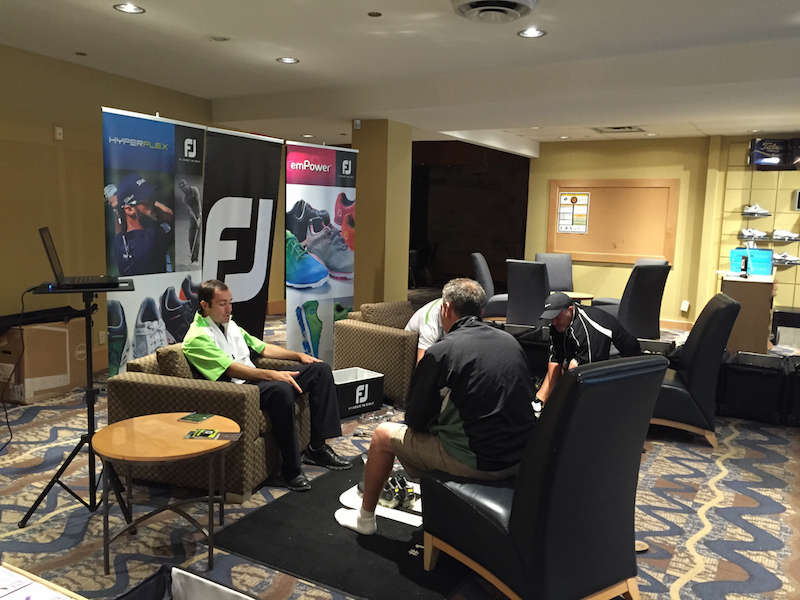 Not entirely unlike a hockey skate fitting process, the FootJoy Fitting Team have a deeper understanding of what you should, and should not be feeling when looking for a new golf shoe. 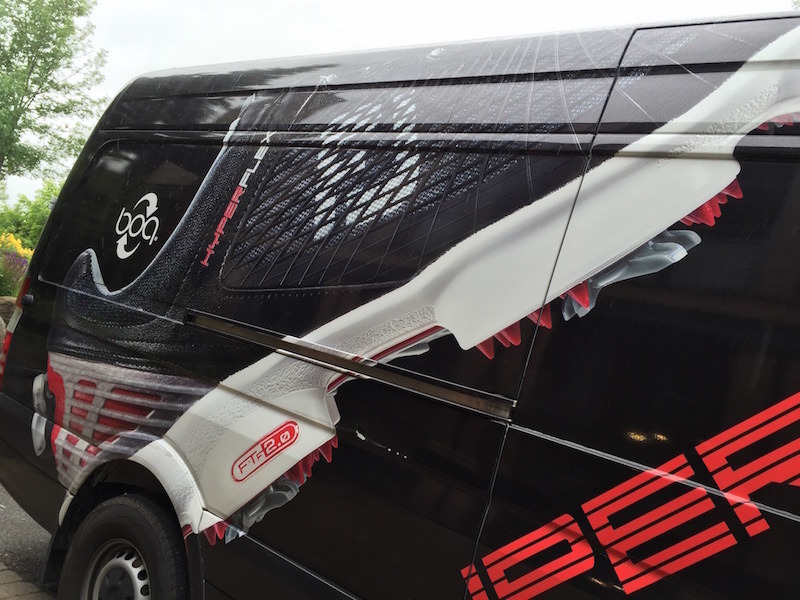 If you see the FootJoy Fitting Van roll up to your club, take the time to get fit. You might be surprised, and you'll definitely be comfortable. Watch for a follow-up post in which I'll report back on how my custom fit FJ DNA's perform on course. No compensation was received for this review in payment or product.